Sanjay Dutt plays a loud Punjabi man in his next, directed by Mahesh Manjrekar. The film. while yet untitled, is a remake of the Marathi film De Dhakka and is about a dysfunctional family going on a road trip. Dutt plays the head of the family that starts bonding while on the trip. As per reports, Preity Zinta walked out from the sets of ‘Bhaiyyaji Superhitt’ as the producer and the director wanted the star cast, including Sunny Deol, Preity and Ameesha Patel to meet the press and none of the actors were informed in advance. It was only after much pleading and cajoling by the producer and the director that she finally agreed to interact with the media. Deepika Padukone paid Rs. 12.65 crores for Rani Padmavati. This obviously makes her the highest paid actress in Btown. To Charge 12 Times More For Padmavati Than Ramleela? An upset Bhansali asks Deepika Padukone to keep mum about her acting fees? KRK: Aaj almost 300 passengers Baal Baal Bach Gaye. It happened because @emirates is using old aircrafts on Indian sectors. It’s not fair at all. Katrina Kaif has refused to romance Rakhi Brother Arjun Kapoor in Anees bazmee’s upcoming film Mubarkaan. But the actress had also said the same about Akshay Kumar in Salman’s show Dus Kadam. She had said Akshay is like her father but later she went to act opposite him in Singh in King. Vivek Agnihotri: There is a systematic attempt to unite Dalit+Muslim votes and limit Hindu vote bank to 30%. Hence this Dalit politics from Vemula to Una. 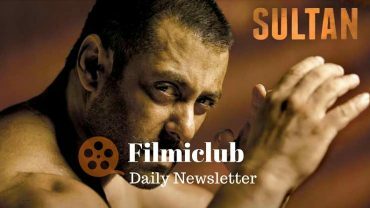 Sultan [Week 4] Fri 57 lacs, Sat 98 lacs, Sun 1.51 cr, Mon 34 lacs, Tue 36 lacs. Total: 297.56 cr. India biz.